Twenty-six people have been killed and a further seven injured in Burundi’s rural northwestern province of Cibitoke, during an attack carried out by a “terrorist group”, according to the country’s security minister. The attack was carried out on Friday, days before Burundi takes to the polls to vote on constitutional changes that could allow President Pierre Nkurunziza to extend his rule. Minister of Public Security Alain Guillaume Bunyoni spoke to reporters at the scene of the attack in the Ruhagarika community of Cibitoke without identifying the group allegedly responsible. According to one survivor, who spoke to The Associated Press, the attackers arrived at 10 pm local time, attacking home and setting properties on fire. Speaking on the condition of anonymity, the survivor told reporters that her husband and two children were killed in the attack. Twenty-four people were killed in their homes during the attack on Friday night and at least two others have died from their wounds in hospital since. Some of the victims were hacked with machetes while others were shot or burned alive. 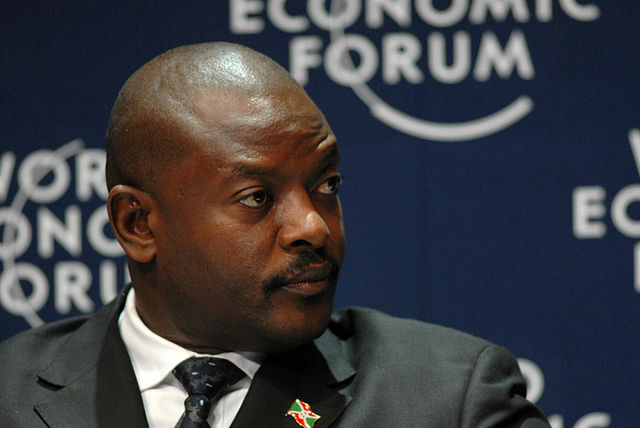 On May 17, Burundi will hold a referendum to vote on constitutional changes that could allow President Pierre Nkurunziza to rule for another 14 years. Rights groups have accused the government of running a campaign of fear ahead of the controversial vote. Earlier this month, the US condemned the “violence, intimidation, and harassment” against those believed to oppose the referendum and criticised the “non-transparent process” of amending the constitution.